Retail, Health & Wellness, Beauty, Legal & Financial, Auto, Real Estate, Home Services and more. 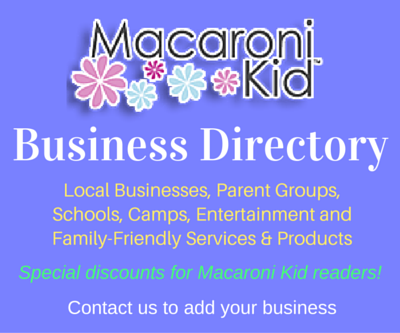 Lowell Macaroni Kid and Macaroni Kid Acton-Concord-Bedford-Lexington readers are actively looking for local businesses to help them with all kinds of family needs, from maintaining their cars to selling their homes to providing beauty services and financial planning. We can help put your information in front of your target market. The Business Directory is available online 24/7 year-round and is promoted regularly via a sidebar ad, feature articles, and social media posts. To learn more about our Macaroni Kid editions, including number of subscribers, monthly website views, and number of social media fans, please visit "What is Macaroni Kid?" Each directory listing will include your logo, several paragraphs about your business or service, photos, address with Google map, testimonials (if desired), contact information, website link, and Facebook page link.